Tickets are now on sale for Renfrewshire Leisure’s Autumn arts programme of theatre, music, exhibitions, family events and much more at venues in Renfrewshire over the coming months. The programme features a diverse range of events, and collaborations with local and national festivals such as The Spree, Luminate festival and the Scottish Mental Health Arts & Film festival. Paisley Arts Centre will be host to a range of drama performances this season, with plays by Liz Lochhead and Arthur Miller, accessible theatre such as Solar Bear’s Tribes and theatre for children with WW1 drama, The Box. There is a variety of music to suit all tastes, from Aidan Moffat and Bill Wells to soulful R&B from the Deke McGee Band. For fans of traditional music, legendary musicians Phil Cunningham and Aly Bain will be performing at Paisley Town Hall as part of their national tour. We’ve got a strong comedy line up this season –welcoming headliners Daniel Sloss and Mock The Week’s Stewart Francis to Paisley. Also appearing this year is Paisley’s very own Scott Gibson our popular compere of our regular Buddy Good Laugh gigs, with his debut solo show, Life After Death. Our Buddy Good Laugh stand-up gigs continue this year, including several special guests. Paisley Museum plays host to various exhibitions this season, including the St Mirren exhibition, Back of the Net and The Whys?man, a retrospective of the stunning artwork of one Scotland’s finest artists, George Wyllie. The Paisley Art Institute will host The Paisley Legacy exhibition, marking the centenary of the PAI collection with a display of their collection for the first time in 42 years. There is also plenty on offer for our younger audiences ranging from KidO – Scottish Opera’s interactive show for children; and dinosaur fun in Jurassic Adventures, in addition to puppet shows, baby discos, creative classes and much more. 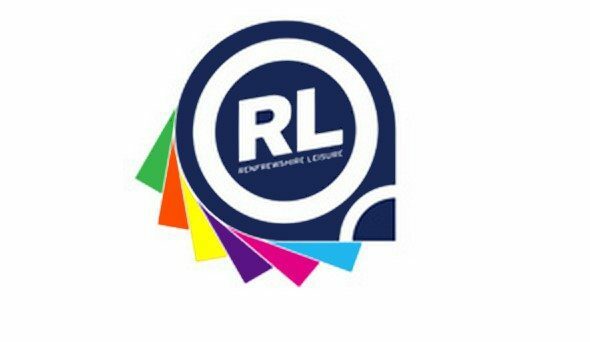 As part of the transfer to Renfrewshire Leisure Trust, a new web-site has been launched at www.renfrewshireleisure.com with all the information and booking details for all cultural and sport events in Renfrewshire. For a full view of what’s on this August – December pick up a copy of The Guide, which is available to collect for free, from Paisley Town Hall, Paisley Arts Centre, Paisley Museum and Renfrew Town Hall. Alternatively a copy can be downloaded and viewed online at www.renfrewshireleisure.com/arts or you can access our free App with all the info and booking details for all our events. The Renfrewshire Arts app is available to download from the App Store and Google Play via a search on ‘my-theatre’.